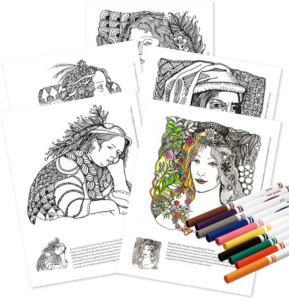 Download 5 coloring book pages now! 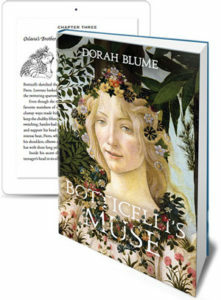 …and thank you for taking the time to check out my drawings and get a sneak peek at some of the characters you’ll soon be meeting in my novel, Botticelli’s Muse. I hope you’ll enjoy coloring in the drawings as much as I enjoyed creating them! I’ll have some more free coloring book pages for you in the near future – so look out for an email from me!